Grew up… in Syria to religious parents. Altaïr’s mother Maud was a Christian and his father Umar was a Muslim, although his religiously diverse upbringing was cut short by the death of both his parents. His mother died during childbirth and his father was executed soon after. The freshly orphaned Altaïr was adopted by an order of assassins, and trained under the strict tutelage of Al Mualim to join their deadly order. Living… in Masyaf, Syria. Altaïr lives and trains with the Order, protecting their headquarters from their enemies. Although he was promoted to the rank of Master Assassin, becoming the youngest to ever reach the level, he was demoted upon failing in a crucial quest that led to the assault by the Templars on Masyaf. Visiting… Damascus, Jerusalem, and various other cities throughout the Middle East. After his demotion Altaïr is tasked with tracking down and assassinating nine important figures, whom he later learns are actually members of the Templar Order. Profession… Assassin. 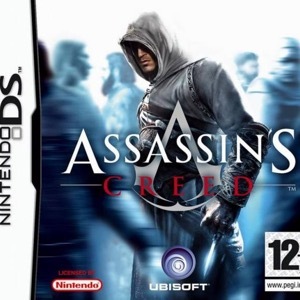 As a member of the Order, Altaïr adheres strictly to the philosophy of the Creed, a set of philosophical principles that stem out from the central maxim of, “Nothing is true, everything is permitted.” The Assassin Order strives for ultimate peace, promising not to unnecessarily harm innocents and to rid the world of corruption. Relationship Status… complicated. After a couple of failed relationships with women Altaïr swore off love and promised to dedicate himself only to the Creed. However, he just met a young woman named Maria, and even though she tried to kill him, Altair can’t help but be attracted to her. Challenge… reclaiming the rank of Master Assassin and defeating the Templar Order. Altaïr must redeem himself in the eyes of his mentor, Al Mualim, after failing him in a mission to secure a relic called the Apple of Eden. Along the way, he must uncover the secrets of the Templars and the Assassins alike, burrowing deeper into an ancient conspiracy as he labors to assassinate the nine targets assigned to him by Al Mualim. Personality… objective, arrogant, and devoted. Altaïr devotes his entire life to the Creed and the pursuit of peace and knowledge. Although cocky and impatient to show his skills, his confidence is not unwarranted and it’s undeniable that he’s one of the most skilled Assassins the world has ever seen. Still, it would be a mistake to think that he’s only good for stabbing – Altair is as much a philosopher and detective as he is a killer. He takes nothing at face value and continually searches for deeper truths. Altair Ibn-La'Ahad's popularity ranking on CharacTour is #360 out of 5,000+ characters. See our top-ranked characters and read their profiles.